Well, it had to happen sometime - this week I finally got my full drivers' licence. Yes, some 18 years after my mum and dad promised me fifty quid's worth of driving lessons for my 17th birthday (never received) and a lifetime spent as a professional passenger, I now have a proper grown up driver's licence. I should explain that here in Australia new drivers are required to spend three years on probation. Unlike the UK passing your test merely moves you from yellow L plates to red P plates. This is a bittersweet status whereby you are finally able to drive on your own whilst simultaneously joining the ranks of one the most despised, mistrusted and frequently insulted groups in Australian culture. 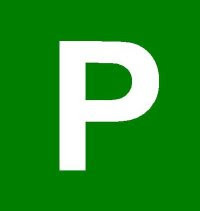 Nothing unites Australians more than their hatred for Red P platers. It doesn't matter what race, gender or age you are, Aussies nationwide will be ready to toot their horns and call you a 'farckin' useless c**t' at every opportunity. Fortunately this only lasts a year before you can graduate to Green P's. This colour change permits you to drive at 100 km per hour (10km more than on your Red P's) but otherwise it's pretty much the same with just a little less venom from your fellow road users. Personally I never really minded being on my Green P's. Some drivers do afford you a bit of leniency, which can be useful on the inny-outy tram-laden lane-changing streets of Melbourne. Still, all good things must come to an end and after two years of diligently affixing my little green squares to the front and back windows of our car, I am finally P free. And my thoughts on this auspicious occasion? On becoming the very last of all my peers to get my licence? On it being almost two decades since those first terrifying car trips along dark country lanes in their rusty old bangers and parents' borrowed Mini Metros? On being technically old enough to have a child now able to drive? Am I not slightly embarrassed that the average age in the licencing office this week was about 22? Sadly not. My main thought as I lined up for my latest passport sized photo was of an NME interview I read back in 1992 with a ramshackle and inebriated Dave Rotheray and Paul Heaton (then of the Beautiful South), responding to accusations that their band lacked ambition. "I have ambition," Heaton retorted "I'll start smoking when I'm 28 and I'll learn to drive when I'm 35." I remember reading that and thinking 'God love you, you contrary drunken buggers' and being glad that I'd just spent that summer schlepping wide-eyed and legless around the French countryside on my own for the first time of many when, according to the rite-of-passage rules I should have been learning to drive. So anyway here I am; a little late but I did it. And frankly if 35 is good enough for P(d) Heaton, it's plenty fine for me.